The Institute of Oncology "Prof. Dr. Ion Chiricuta" was founded in 1929 by Prof. Dr. Iuliu Moldovan as the "Institute for Research and Prevention of Cancer", one of the top medical centers specializing in cancer in Europe. Starting 1965, the Institute went through a period of modernization initiated by Professor Ion Chiricuţă. This is why since 1990 it carries the name of Professor Ion Chiricuţă. During its 85 years of existence, IOCN has performed an important role in oncology care to patients across the country, as well as awareness training and education in cancer of many generations of doctors from various specialties. Institute of Oncology is a comprehensive cancer center of national public interest, with legal personality, the Ministry of Health. Meanwhile, the Institute provides preventive care, curative and palliative oncology and conducts education and research. IOCN interest and involvement by the Department of Cancer Prevention and Control in the development and implementation of prevention and control of cancer in the North-Western Region of Romania and throughout the country, is an example to be followed by similar institutions in Romania, its expertise being recognized nationally and internationally. The Cancer Registry of Norway, Institute of Population-based Cancer Research, was established in 1951. It is one of the oldest national cancer registries in the world. This, combined with the unique personal identification number used in Norway, makes the Cancer Registry’s data suitable, also internationally; by establishing new knowledge through research and spreading information on cancer. 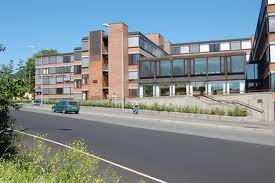 The Cancer Registry is part of South-Eastern Norway Regional Health Authority and is organized as an independent institution under Oslo University Hospital Trust, with its own board. Cancer information comes from several independent sources, thus securing a high grade of completeness. We receive each year around 140 000 notifications related to cancer illness. Of these, almost 30 000 are newly diagnosed. The Cancer Registry is responsible for the national screening programmes: Breast Cancer Screening Programme and Cervical Cancer Screening Programme. The goal is to prevent cancer death by discovering cancer or pre cancerous lesions as early as possible. The Registry’s competence within diagnostics and treatment is increasing steadily. With this as a background, the Cancer Registry has during the past 20 years and in cooperation with the clinical milieu in Norway developed clinical registries to ultimately improve the treatment of cancer.